ThetaHealing sessions, typically 1 hour in duration over the phone, Skype or in person by appointment. Ancestor reading, typically 15 minutes over the phone by appointment. Guardian Angel reading, typically 15 minutes over the phone by appointment. Animal reading and healing, via email (including a picture of the animal). How to prepare for a ThetaHealing session. Prior to the session, identify an issue or area of your life that you would like to improve or heal. ThetaHealing can help resolve issues in all areas of your life. You have to want to be healed to obtain maximum benefit from the session. Make sure you drink plenty of water and stay well hydrated both before and after the session. If the practitioner thinks you will require muscle testing this will allow the muscle testing to be clear and strong. If you are doing a phone or Skype consultation, ensure that you have a quiet space and will not be disturbed during the session. What happens during the first ThetaHealing session? 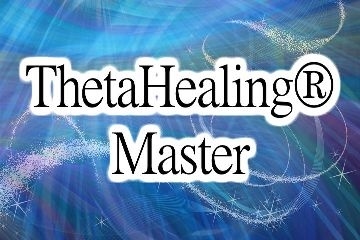 The first part of the session will be explaining ThetaHealing and answering any questions you have about the process. The next part will be discussing the issues and problems you would like to resolve, or areas you would like to improve in. 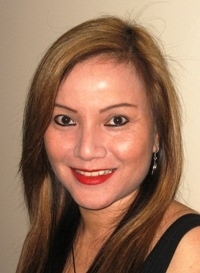 The remainder of the session will then consist of the healing carried out by the practitioner. From a conscious theta state the practitioner will identify limiting beliefs either intuitively or through a conversation during the session. There is no “hands on healing” involved by the practitioner. Once permission is received from the client, the practitioner is able to remove the limiting belief systems and witnesses the changes required, as it is the “Creator of All That is” that does the healing. .
How many and how often are ThetaHealing sessions are needed? We are all different, we all have different issues and we all take differing times to heal. Some people heal instantly. Some take longer to get to the root of an issue and the healing process is more gradual and subtle, requiring additional sessions. The pace and quantity of sessions will be dictated by you and your requirements. No. 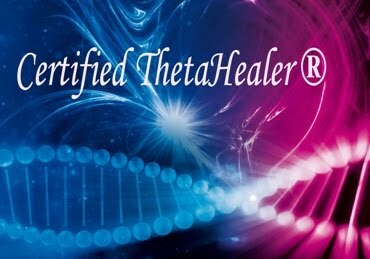 ThetaHealing is a spiritual technique and is not associated or affiliated to any church or organised religion. When the term “Creator of All That Is” is used it refers to the spirit that intertwines and binds all things in existence. ThetaHealing is taught to, practised by and practised on people from all religions. ThetaHealing is not a religion, it is a technique to change your beliefs according to the dictates of your own conscience. Do I need to be there in person? No, ThetaHealing does not require any physical contact and as such sessions can be conducted over the phone or through Skype, from the comfort of your own home. How long are ThetaHealing sessions? Sessions are typically 1 hour in duration, although the first session will be longer as ThetaHealing is introduced and explained. ThetaHealing is not a replacement for the orthodox medical treatment of a condition. It will never be recommended that you do not seek professional medical help for an illness. Can ThetaHealing be used on animals? Yes, the ThetaHealing technique can be used on all animals, the same way it is used on humans. Getting to know your animal better will allow you to determine, more accurately, their needs as your animal. Sometimes animals take on their owners illnesses and problems as a way of loving us unconditionally, ultimately it is the owner who needs to be healed so that the animal can recover. When requesting an animal reading and healing, please send a photograph of the animal, animal's name and gender along with any specific questions or concerns you may have. Like humans, animals have their own free will / free agency and because of this there is no guarantee that changes can be made. What is muscle testing, why is it required and how does it work? Muscle testing is a way of communicating directly with a person's subconscious. The subconscious mind is in the whole body. If we are able to ask the body questions then we would be able to determine what is in the subconscious. Whenever a person says or thinks something that resonates as true with the subconscious mind, the electrical and magnetic fields actually become stronger and as a result the muscles become stronger. The opposite is also true. When a person says or thinks something that resonates as false or wrong with the subconscious mind, the electrical and magnetic fields actually become weaker and likewise the muscles become weaker.